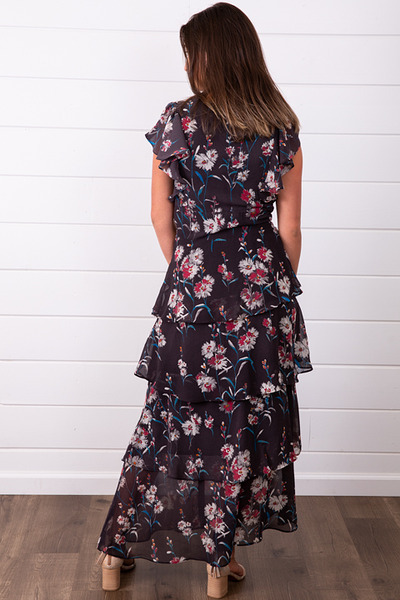 Our Delilah Dress by Willow & Clay is a stunning floral maxi dress that's a great addition to your fall wardrobe. It has a lovely plunging neck line with tiered ruffles and a banded waistline creating a nice silhouette. 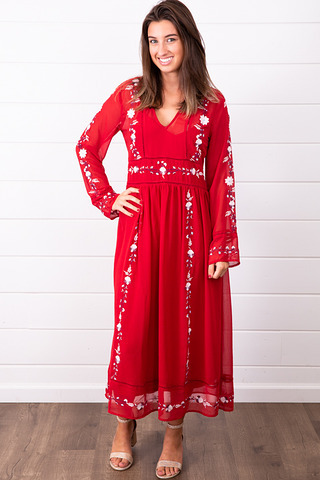 You can also decide the length of your slit with the hook and eye closure down the front. 100% polyester. Dry clean only. Made in the U.S.A.